This tense action-thriller explodes with nonstop excitement and riveting star performances! Sylvester Stallone stars as Freddy Heflin, the sheriff of a place everyone calls "Cop Land" - a small and seemingly peaceful town populated by the big-city police officers he's long admired. Yet something ugly is taking place behind the town's peaceful facade. And when Freddy uncovers a massive, deadly conspiracy among these local residents, he is forced to take action - and make a dangerous choice between protecting his idols ... and upholding the law! Robert DeNiro, Harvey Keitel and Ray Liotta head an incredible cast in this critically acclaimed and unforgettable motion picture! $13.510 million on 2233 screens. While it may be a stretch to refer to Sylvester Stallone’s career as being in shambles by 1997, but it sure approached the level of ruin. The glory days of Rocky and Rambo seemed like ancient history by then, and his last moderate hit came from 1993’s Cliffhanger. Between 1993 and 1997, he suffered from one flop after another with notable duds like Daylight and Assassins. Apparently tired of his status as a running punch line, Stallone signed on for something more substantial than his usual action affair. 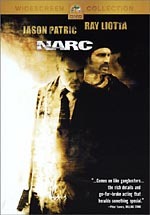 He hooked onto Cop Land, a serious crime drama with an excellent cast. Did this revive his career and add substance to his reputation? No, but the movie works fairly well overall, and Stallone acquits himself nicely. Cop Land comes set in Garrison, New Jersey, a small town right across the river from New York City. Many NYPD cops reside there, and they dominate the local landscape. We meet Garrison Sheriff Freddy Heflin (Stallone), a single, middle-aged man who wanted to join NYPD but failed to make the cut due to profound hearing loss in one ear; as a teenager, he rescued Liz, whose car had plunged into a river. Because the town is so dominated by cops, Garrison is a sleepy little burg, and we meet some of the inhabitants. Freddy pals around with Gary Figgis (Ray Liotta), a New York cop on leave due to substance abuse problems. He kind of cracked when his partner got killed, and he struggles to come out of his funk. When young star cop Murray “Superboy” Babitch (Michael Rapaport) leaves a Manhattan bachelor party and drives home, another car sideswipes him. As he pursues the inhabitants, one of them apparently aims a rifle at him and shoots. Superboy fires back and eventually the two cars collide violently, an event that kills the inhabitants of that car but doesn’t seriously injure Superboy. In the aftermath, it turns out that the “rifle” was a steering wheel lock, and they fired no shots at Superboy. Fellow cop Jack Duffy (Robert Patrick) plants a gun in the car, but an ambulance driver calls him on this and starts a fight. During the ruckus, leading cop Ray Donlan (Harvey Keitel) declares that Superboy leapt off the bridge in despair. This makes no sense to some, and a few people suspect a cover-up; they think Ray - Superboy’s uncle – hid the kid and faked the jump. Since no one finds a body, this seems possible, and NYPD’s Internal Affairs investigates. Detective Moe Tilden (Robert De Niro) checks into things but encounters resistance. Back in Garrison, we see the powerlessness of the local cops, as the NYPD speed at will. New deputy Cindy Betts (Janeane Garofalo) mistakenly pulls over Ray and Jackie, and as they pull off, Freddy sees Superboy in the backseat. Moe comes to Garrison basically to rattle some cages, and when he encounters Freddy, he gives the sheriff his card in the hopes he’ll come in and spill some beans. Both sides try to play Freddy to their own advantage. Quietly, Freddy tries to figure out what’s up with Superboy affairs, and we also see that he maintains a crush on Liz (Annabella Sciorra), the woman he rescued in younger days. She married to cop Joey Randone (Peter Berg), something of an abusive jerk who maintains an affair with Ray’s wife Rose (Cathy Moriarty). The rest of the film mainly focuses on Freddy’s investigation of the Superboy affair, and matters intensify as the threads unwind. Ray does his best to keep the clan together but the situation deteriorates. We see the various interactions connected to these events. Basically Peyton Place with cops, Cop Land presents an awfully densely plotted flick. I found it somewhat tough to sum up the story just because it included so many different elements, and I dropped a few subplots to ensure that my synopsis wouldn’t take an hour to read. More than a little soap opera appears, and this doesn’t add a ton to the story. Actually, that’s not totally true. We get a good sense for the presence of corruption everywhere and the dark underbelly hidden in this seemingly idyllic setting. Nonetheless, I’d prefer to see the movie focus more tightly on the Superboy plot; it would reveal all the appropriate elements and make the movie progress more succinctly and tightly. Cop Land tends to ramble at times and goes off-task more often than I’d like. Director James Mangold also is guilty of trying too hard at times. He uses more than a little easy symbolism that seems too blatant. For example, at the start, we see Freddy play a cop-oriented pinball machine that declares “you have no authority” when he loses. Duh! Freddy’s obsession with Springsteen’s The River also seems way too obvious, as rivers play such an important role in his life; Liz’s accident led to his current state in a way, and he also regards the river between New Jersey and New York as a natural obstacle. The movie would work better without such forced symbolism. Still, the movie enjoys a very interesting concept of the cop in a place full of cops. (Though I think the flick should have been named Cop Town instead of Cop Land, as one might think it’s about Aaron Copland.) It’s a great idea, and one that receives reasonably solid exploration. Much was made of Stallone’s physical transformation to play Freddy, for the usually buff actor put on substantial blubber. I’m not sure how necessary this was, as it feels like more of a gimmick than a natural character choice. Sure, the fat makes him seem appropriately complacent, but I don’t see what it adds that actual acting couldn’t convey. As I mentioned earlier, Stallone’s presence here feels something like an attempt to elevate his profile. It didn’t work, as he remained as much of a punch line after Cop Land as before, but I can’t really fault Stallone for that. While he doesn’t offer a killer performance, he does fairly well and seems pretty convincing in the role. The stellar supporting cast acts both as help and hindrance in regard to Stallone’s success. On one hand, they challenge him and make him work harder to earn his keep. Stallone can’t rely on his star power to carry the day, for the others would easily show him up if he mailed in his performance. Unfortunately, Cop Land includes so many terrific talents that Stallone can’t help but suffer slightly in comparison. Cop Land enjoys strong performers in virtually every role, and while that forces Stallone to step up his game, it also points out his flaws a little more heavily. When I first saw it theatrically in 1997, Cop Land came across as something of a disappointment, largely because the amazing cast set up such strong expectations. Seven years later, the movie still doesn’t live up to its potential, but it offers a fairly entertaining and executive piece of work. It doesn’t quite enter the Scorsese territory desired, but it keeps us involved and interested. 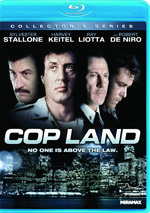 Cop Land appears in an aspect ratio of approximately 1.85:1 on this Blu-ray Disc. Though not great, this was a more than acceptable presentation. Sharpness seemed positive most of the time. Occasional wider shots came across as a little soft and ill-defined, but those caused few distractions. Instead, the majority of the flick appeared fairly distinctive and detailed. I saw no issues related to jagged edges or moiré effects, but some light edge enhancement showed up at times. I did get the sense that some moderate digital noise reduction appeared here, as the film lacked the expected grain and could seem a bit “smoothed out” at times; still, any potential DNR wasn’t excessive. Print flaws offered a couple of small specks but nothing more. Cop Land went with a subdued palette. Colors didn’t jump off the screen, but they seemed acceptably vivid and distinctive given the design. Black levels seemed reasonably deep and dense, and shadows came across as well rendered. Since the flick included a lot of interiors, that factor became especially important. Some issues with sharpness and noise reduction made this a “B-“ image. As for the DTS-HD MA 5.1 transfer of Cop Land, the audio proved to be satisfying. Although the soundfield won’t win any prizes for ambition, it appeared fairly active and involving. The forward spectrum boasted a nice and varied sense of environment that created a good feeling of location. Elements were well placed in the front and meshed together smoothly. We even got a little directional dialogue in this accurately detailed soundfield. Audio quality was also quite good. Speech consistently came across as natural and concise, with no issues connected to intelligibility or edginess. Music displayed a nice sense of dynamics and range, with crisp highs and warm lows. Bass response proved good, as those parts were quite deep and rich. Effects replicated the different elements with detail and distinction. Ultimately, Cop Land presented a positive auditory experience. How does this Blu-Ray compare with the ”Collector’s Series DVD from 2004? Audio was a bit fuller and more dynamic, and picture seemed better defined and more concise. The improvements weren’t enormous, but they ensured this was a more satisfying presentation of the film. The Blu-ray replicates all of the 2004 DVD’s extras, and these open with an audio commentary. We get notes from director James Mangold, producer Cathy Konrad, and actors Sylvester Stallone and Robert Patrick, all of whom sit together for a running, screen-specific piece. They cover a variety of topics such as how they all came onto the project, the low budget and logistical challenges, Stallone’s physical transformation, tensions on the set and a wasted day due to disagreements about one scene, issues connected to the cast and their work together, and additions to the longer cut. Though it presents a lot of useful material, the commentary doesn’t turn into a slam dunk due to a mix of moderate flaws. For one, it comes chock full of praise, as we often hear the participants laud the movie and everyone attached to it. The commentary also presents more gaps than I’d expect given the size of the group. More than enough good information pops up here to make the track worthwhile, but it doesn’t succeed as consistently as I’d like. Next we find Cop Land: The Making of an Urban Western. 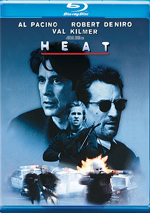 It runs 14 minutes, 21 seconds as we see movie shots, behind the scenes images, and interviews with Mangold, producers Konrad and Cary Woods, and actors Stallone, Patrick, Ray Liotta, Robert De Niro, Peter Berg, John Spencer, Arthur J. Nascarella, Janeane Garofalo and Michael Rapaport. We learn about the origins of the flick and its path to the screen, its neo-Western tone and themes, and casting and the work of the actors. Some of the material becomes redundant after the commentary, and we also find too many movie clips. Nonetheless, the program provides a fairly tight synopsis of the various issues and seems reasonably compelling and informative. Within the Storyboard Comparison, we see drawings on the left of the screen and the movie on the right. It’s an awkward presentation, as it renders both images awfully small. These show the movie’s climax. It only lasts one minute, 59 seconds, and it’s mostly interesting just because the boards seem so crudely drawn. After this we get two deleted scenes: “Car Chase” (three minutes, 14 seconds) and “Profile” (1:39). The first shows the continued lack of authority enjoyed by Freddy, while the latter offers Cindy’s observation that the cops use racial profiling. Both are interesting to see but wouldn’t have added to the final film. We can see them with or without commentary from the same folks who appear in the main track. We learn why the clips got the boot and hear some nice remarks about their creation. The disc opens with ads for The Expendables, Reservoir Dogs, Rambo, Pulp Fiction, Killers and Jackie Brown. These also appear under Trailers, but no promo for Cop Land shows up here. Somewhat overwrought but generally compelling, Cop Land enjoys an excellent cast and an intriguing concept. It plods at times and goes off onto too many diversions, the movie nonetheless comes across as mostly engaging and well made. The Blu-ray delivers somewhat erratic but usually positive picture along with good audio and a reasonably informative set of supplements. This isn’t the biggest Blu-ray upgrade I’ve seen, but it’s a nice release made more appealing by its low list price.